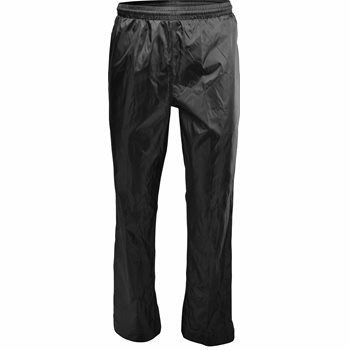 The Sun Mountain Cirrus rain pants are designed as packable, emergency pants. The pants offer a compact folded size that provides easy storage in a golf bag. Cirrus rain pants are single-layered, fully seam-sealed and lightweight. The pants are designed with an elastic waist with drawstring, three pockets and deep lower leg zippers for easy on and off. The Cirrus rain pants come with a two-year waterproof guarantee.